In this article, we have listed the top 10 best 43 inch LED TVs available in India as of April 2019. We have covered all top brands like LG, Samsung, Panasonic, VU, Mi and more. All these LED TVs are available on Flipkart or Amazon. The display size of all these LEDs is 42-43 inches which are good for a large room or a hall/lobby. If you have a small room, we do not recommend buying a 43 inch LED TVs. These televisions have a minimum viewing distance and for 43 inches LED TVs you should have at least 6 feet distance. So if you are going to view it from less than 6 feet, you should take a look at best 32 inch televisions. The LED TVs on this list have Full HD or Ultra HD 4K resolution. 4k resolution TVs provide a great amount of details in every frame. The price of LED TVs on this list is from around Rs. 20000 to 50000. 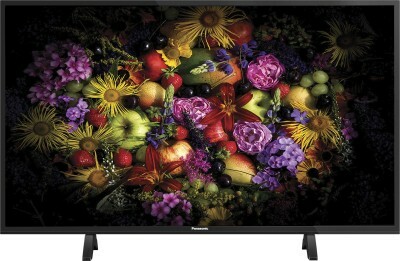 LED TVs from new and small brands like VU, Micromax etc are priced under Rs. 30000 and LED TVs from big brands like LG, Samsung are priced around Rs. 35000 to 45000. You will find both Non-smart and Smart LED TVs on this list. With Smart TVs, you can connect it to your WIFI and stream videos and movies directly from the Internet. Let's take a look at best 43 inch LED TVs in India. We have listed a brief review of specifications and pros cons with buy links. So this was our list of top 10 best 43 inch LED TVs available in India. We hope it was helpful for our users. These days, people are preferring 55 inch 4K LED TVs and companies like Mi, Thomson, TCL are providing great options under 40000. Take a look at them in our list of best 4K TVs under 40000. Wondering which one is our favorite from the list above? Here's the answer. Our favorite LED TV on this list is the Samsung 43 inch 4K Smart LED TV. Samsung is a big brand and makes high-quality products. They have a great service network as well. It will cost you around 40k which is an excellent price for a 4K Smart TV from a brand like Samsung.